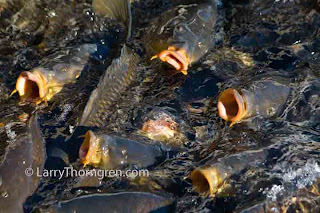 I get grossed out everytime I see these huge carp come up to get popcorn or bread thrown into the water by the tourists on the marina docks here on Lake Meade. Great pictures Larry! Love the blog, keep it up!